Our all-encompassing knowledge of 3D printing and understanding of your business mean there is no one better placed to help you speed up production and reduce your costs. With an industry-leading professional team and a level of personal service that goes above and beyond that of our competitors, we are your perfect 3D printing partners. 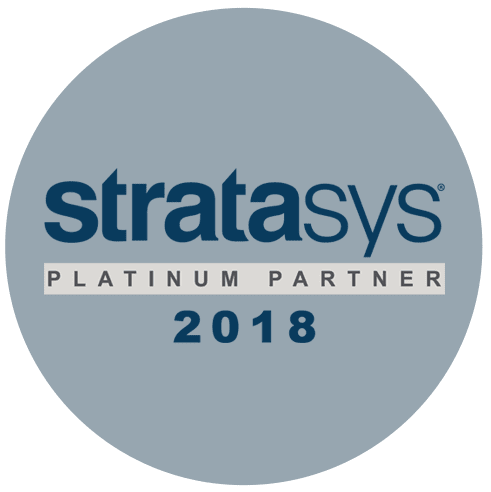 In recognition of the size of our organisation, the number of systems we carry for demonstration purposes and the level of experience and expertise within our sales and technical support team, we are a Stratasys appointed Platinum Partner. We work with you to provide tailored support and advice that aligns with your business strategy and enhances your manufacturing performance. Supplying and supporting 3D printers for more than 20 years has given us unequalled knowledge of the technologies, machines and materials. Our personal service and attention to detail means you will always get the help you need, when you need it. We visit you to observe current working practices and determine the best solution for your business. 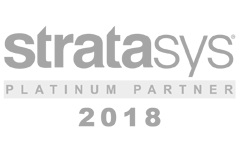 Our unique level of experience means we can offer expert help and advice on how additive manufacturing can improve your manufacturing performance. After our visit, we will provide you with a free assessment on the possible applications of 3D printing and how it can save you time and money. If you’re considering 3D printing, you can try it out for free. Get a part printed to see how great the quality is and get a sense of how much money and time it will save you. We operate one of the largest 3D printing bureaus in the UK, so if you are thinking of buying a 3D printer, contact us to try before you buy. As well as the impressive range of FDM and Polyjet 3D printing systems, we also offer Selective Laser Melting for producing metal parts. In addition we distribute the Evatronix 3D Scanners and MK Technology’s vacuum casting and metal investment casting systems. A large service bureau offers another dimension in which we can build anything cost-effectively from one-off parts or to low-level production runs. Our customers come from sectors as diverse as universities, research and development centres, automotive production, aerospace, medical tooling manufacture and jewellery design. The industries we work with expect continual developments: better, faster products at ever-lower price points. By keeping up with these advances we are able to tailor our solutions to vastly different business sectors and expand the range of industries that benefit from 3D printing. Please visit our Banbury showroom for a free 3D printing demonstration. We invite you to come and see what the technology can do for your business. 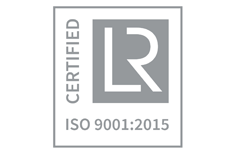 We have three dedicated rooms running around 15-20 machines at any one time and can demonstrate the entire process to you from beginning to end. To arrange a visit, call 01295 672599 or use the link below to get in touch and book a time that suits you.